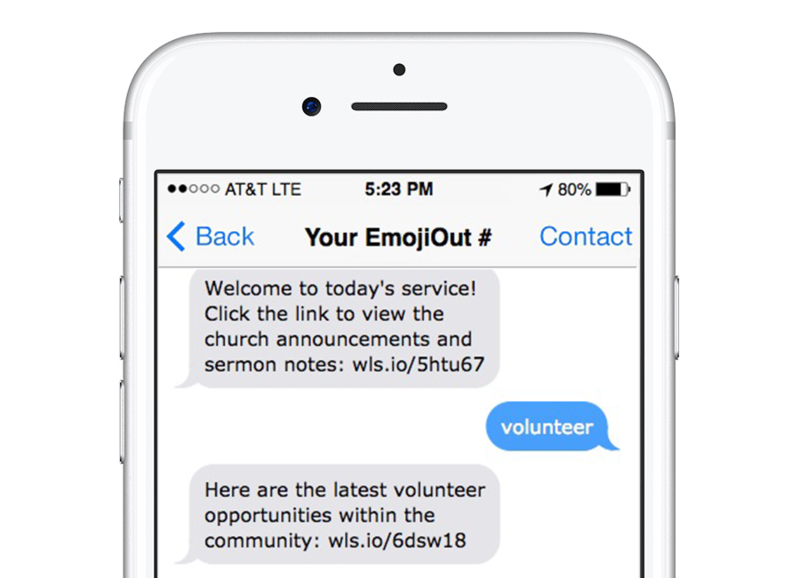 EmojiOut allows churches to connect in ways beyond worship service or bible study, providing a more effective way for your congregation to get on one accord as you seek to streamline communication. This is our 4-Step process (check-in, engage, feedback, offer) that allows for simple opt-in of your congregation and gauges the interest and engagement level to determine those really invested in church activities. Just note that this is just the tip of the iceberg when it comes to using EmojiOut, but this will definitely get you started. The easiest way to get your church on-board is by allowing them to check-in via keyword or kiosk at service to receive the announcement and sermon notes. 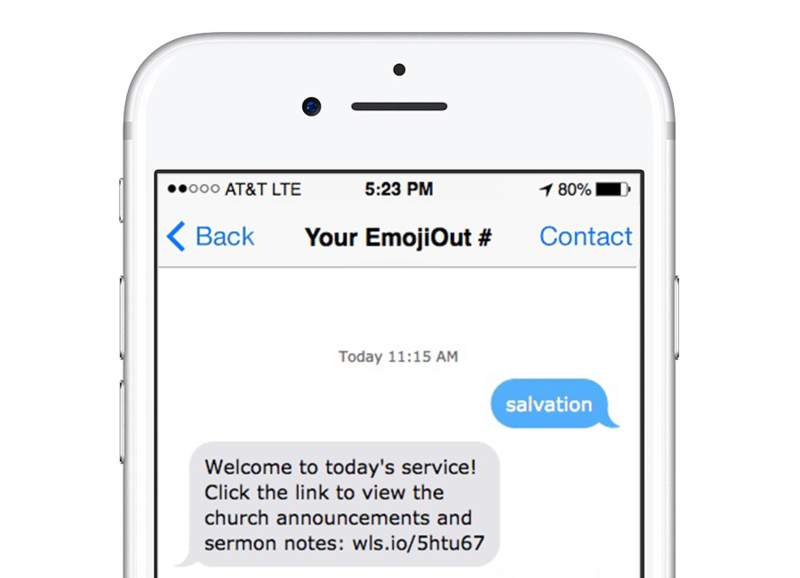 Example: text "salvation" to your EmojiOut number. 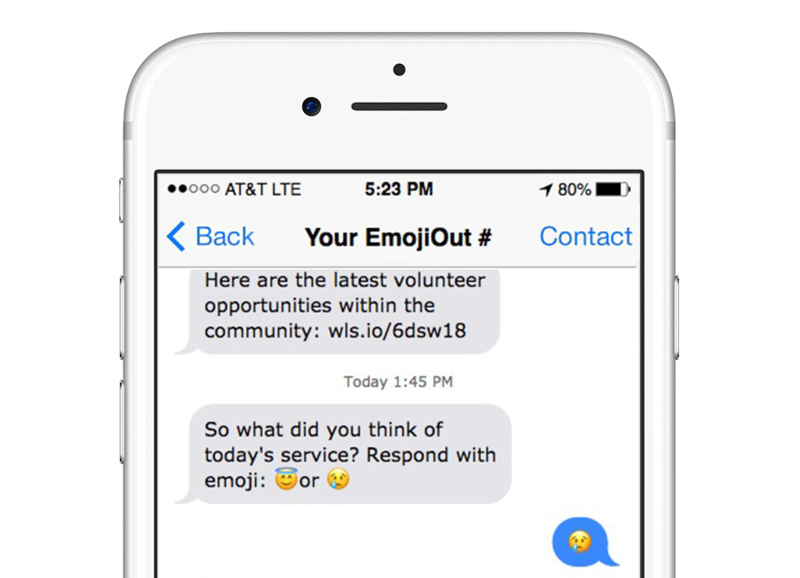 Once your congregation checks-in use this as an opportunity to engage by asking question, allow signups for community initiatives, and really just about any info you'd like to communication. Now this is a new behavior to the church environment but can become a very vital element to church communication. 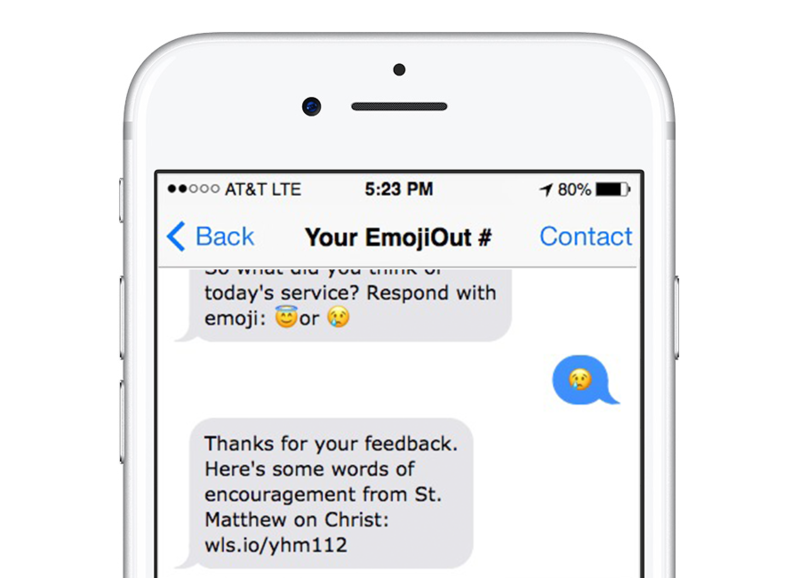 Asking your congregation for feedback on the sermon via emojis gives you a chance to gauge the spiritual growth and mindset of your church members without them having to use words. Once you receive feedback you now have an opportunity to send off Words of Encouragement to give them something to take with them beyond the sermon or bible study.